For the C-SPAN co-founder with a similar name, see Robert Titsch. Preston Robert "Bob" Tisch (April 29, 1926 – November 15, 2005) was an American businessman who was the chairman and—along with his brother Laurence Tisch—was part owner of the Loews Corporation. From 1991 until his death, Tisch owned 50% of the New York Giants football team and shared ownership of the team with Wellington Mara. Tisch was born in 1926 in the Bensonhurst section of Brooklyn, the son of Sadye and Al Tisch. Tisch received a BA degree in economics from the University of Michigan in 1948, and his wife Joan Tisch and his daughter also received degrees at the university. While in college Tisch was a member of Sigma Alpha Mu, a Jewish fraternity. 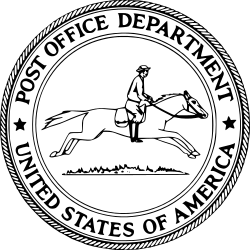 On August 16, 1986, he was appointed Postmaster General of the United States Postal Service, serving until March 1988. In 1991, Tisch bought a half-stake in the New York Giants from Wellington Mara's nephew Tim, who had inherited the share from his father and Wellington's brother Jack upon his death and who was suffering from Hodgkin's lymphoma, which would eventually claim his life. Tisch held the share until he died on November 15, 2005 from brain cancer; Tisch's death followed Mara's death by three weeks. His share of the Giants passed to his son Steve, who co-owns the team with Mara's son John. Bob began his career in business when he opened a hotel in 1946 with his brother, Larry. The brothers continued to expand their hotel business, eventually purchasing stock in Loew’s Inc. in 1958, owning the company beginning in 1959, and creating Loew’s Corporation as a parent company of Loew’s Theatres and Loew’s Hotels in 1970. Bob was named president and Chief Operating Officer of Loews in 1968, and both Bob and his brother retired as co-CEOs of Loews on December 31, 1998. Loews eventually diversified into fields such as insurance and natural gas. Tisch made substantial donations to his alma maters, leading to these institutions naming buildings and a school after him. Tisch Hall, on the University of Michigan central campus, houses that university's history department. New York University's Tisch School of the Arts and NYU Medical Center's Tisch Hospital are named after Laurence A. and Preston Robert Tisch. NYU's Preston Robert Tisch Center for Hospitality, Tourism, and Sports Management was founded in 1995 and expanded in 1999 to meet the needs of a growing student population. In 1997, the Central Park Zoo opened the Tisch Children's Zoo. Given two months to live by his New York doctors, Tisch lived for 14 more months under care at Duke University Medical Center. In recognition of their efforts, the Tisch family donated $10 million to the Duke Brain Tumor Center which was renamed the Preston Robert Tisch Brain Tumor Center in October 2005. The Tisch Building in New York City which is the headquarters of the Gay Men's Health Crisis (GMHC) is named for him and his wife, who is on the GMHC Board of Directors, after they donated $3.5 million for it in March 1997. There is additionally a Preston R. Tisch Professorship in Judaic Studies and the Preston Robert Tisch Tennis Building at the University of Michigan. Tisch was also a founding member of the Association for a Better New York, which took on the task of tackling city problems that had previously fallen to the city’s agencies. He additionally helped to found Citymeals on Wheels and personally served meals to the city’s elderly. There is a Tisch Center for the Arts at the 92Y in New York, and Tisch Galleries at the Metropolitan Museum of Arts. Tisch founded the charity Take the Field, which raised $135 million in public and private funds to repair 43 athletic fields in New York City. Steve Tisch is a producer who lives in Beverly Hills. He is the only Tisch child to leave the New York area and serves as the family’s point man in their shared ownership of the New York Giants. Jonathan Tisch is the public face of the hotel division of Loews Corporation. In 1988, he married Laura Steinberg, the daughter of financier and insurance executive Saul Steinberg, at the Central Synagogue in Manhattan. They later divorced. In 2007, he married Lizzie Rudnick. Jonathan is also an active Democratic Party fund-raiser. Laurie Tisch sits on the board of the Whitney and the Children's Museum of Manhattan and is chairwoman of the Center for Arts Education, a nonprofit group that works to improve arts education in the public schools. She is divorced from Donald Sussman, the founder of Paloma Partners, a hedge fund in Greenwich, Connecticut with $1.5B under management. She founded the not-for-profit foundation, the Illumination Fund, dedicated to serving the children of New York City with an emphasis on arts education. ↑ Winans, Christopher (1995). King of Cash. John Wiley & Sons, Inc.
↑ Ackman, Dan (2003-11-17). "Tisch, Old-School Billionaire, Was Everywhere - Forbes". Forbes. Retrieved 2016-06-10. ↑ LLC, New York Media (1986-05-26). New York Magazine. New York Media, LLC. ↑ "History and Mission - Tisch Center". Retrieved 2007-10-31. ↑ Arts, University of Michigan College of Literature, Science, and the (1996-01-01). LSAmagazine. UM Libraries. ↑ Martin, Douglas (2005-11-16). "Preston Robert Tisch, Owner of Loews Hotels and Giants, Dies". The New York Times. ISSN 0362-4331. Retrieved 2016-06-10. ↑ "Congressional Record". www.congress.gov. Retrieved 2016-06-10. ↑ "92Y Historical Timeline". www.92y.org. Retrieved 2016-06-10. ↑ Gross, Michael (2010-01-01). Rogues' Gallery: The Secret Story of the Lust, Lies, Greed, and Betrayals That Made the Metropolitan Museum of Art. Broadway Books. ISBN 9780767924894. ↑ "Tisch, Preston Robert". www.conventionindustry.org. Retrieved 2016-06-10.